When it comes to toning mists, I’m typically drawn to two types. The first type is a no-nonsense, acne-preventing mist that keeps my pores clean and helps open them up to allow my spot treatments to penetrate a bit deeper. The second type is a luxurious, moisturizing mist that re-hydrates, calms and makes my skin feel deeply nourished before even applying my oils and serums. 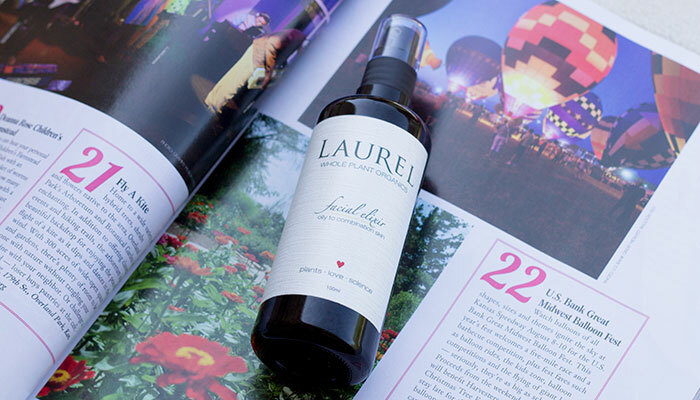 Laurel Whole Plant Organics’ Facial Elixir for Oily to Combination Skin is some sort of hybrid of my two types, which basically means it’s a dream come true. Natural anti-inflammatory, antibacterial and astringent-like ingredients blend with calming, soothing and antioxidant-rich ingredients to give Laurel Whole Plant Organics’ Facial Elixir for Oily to Combination Skin a balanced, refreshing texture. As you spray your face, the juicy-fresh elixir (that kind of smells like grapes to me?!) envelopes your skin in a nutrient-dense wetness that’s obviously saturated, yet not dripping or awkwardly wet. It’s definitely not a fine mist, but it’s not too targeted that it goes on in odd blotches. Instead, I’ve found that because Laurel Whole Plant Organics’ Facial Elixir for Oily to Combination Skin goes on so wet (after just 2-3 sprays! ), it allows me to use less of my daytime and evening oils, as it helps the oil slip around a bit better on my skin. Also, of course, because the elixir itself has potent moisturizing properties. I think my skin responded so well to Laurel Whole Plant Organics Facial Elixir for Oily to Combination Skin because of the inclusion of acne-fighting ingredients such as organic witch hazel, organic frankincense hydrosol and lavender; my spotty skin reacts well to those core ingredients, not to mention the other mess of good stuff Laurel packs into this mist. I’m particularly interested in the healing powers of chamomile, meadowsweet and lemon balm; I know my girl Lilly has been raving about chamomile lately, specifically for sensitive skin. Acne-prone skin is likely in the “sensitive skin” category, too, so it makes sense to see chamomile, which is anti-inflammatory and antibacterial, included in a toner for oily and combination skin. Meadowsweet is also said to have anti-inflammatory properties but is also astringent, which could be another component of the skin-clearing properties of this toner. Same goes for lemon balm, but it’s also rich in antioxidants that protect skin from further damage and distress. Because of all that — and the beautiful packaging that looks fantastic on my bathroom vanity — Laurel Whole Plant Organics Facial Elixir for Oily to Combination Skin is a repurchase for me. I think the $44 pricing is fair for a luxury, well-packaged, thoughtful ingredient-full toner that gives you the best of both worlds: acne prevention and hydration. 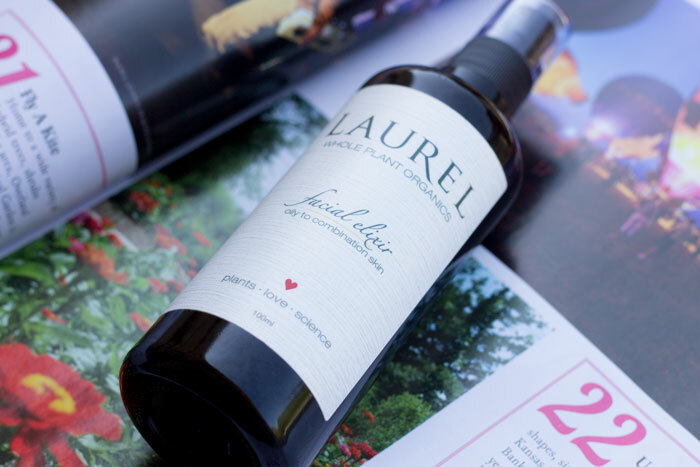 Have you tried anything from Laurel Whole Plant Organics? What do you look for in a toner? If you’re acne-prone, what ingredients does your skin react well to, and do toners typically work for your holistic prevention plan? Tell me in the comments section!